Washington Shooter Arcan Cetin opened fire in the Macy’s at Cascade Mall, killing 5 people on September 23. Three women and one 16-year-old girl died immediately; the man died later. It happened in Burlington, about 30 miles north of Seattle. The Cascade Mall shooter was 20 years old and had graduated from high school the previous year. He was born in Turkey, but raised on Whidbey Island. Cetin had a track record of arrests, including three charges of domestic violence, plus drunk driving. It is clear that the courts were trying to help him. His family was quite patient. 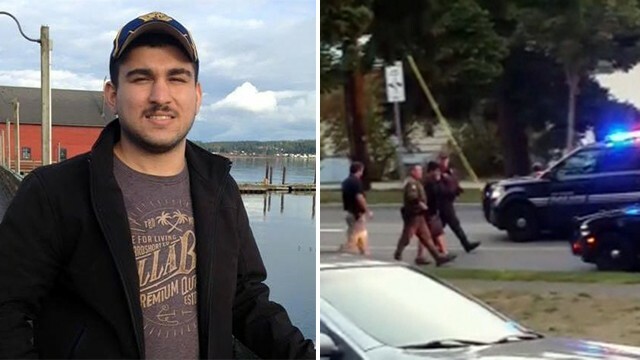 Kiro News reports of incidents from the past year: “A prosecutor asked about firearms, and Cetin’s mother said those were removed, according to court records. As the case continued in 2015, additional counseling was recommended….. That case was tracked with a separate Island County case involving another alleged victim. “As part of that misdemeanor case, Cetin was ordered to undergo a mental health evaluation in August 2015. The evaluation was completed as of March 2016, according to court records. “There also were questions in the court file about cannabis use. 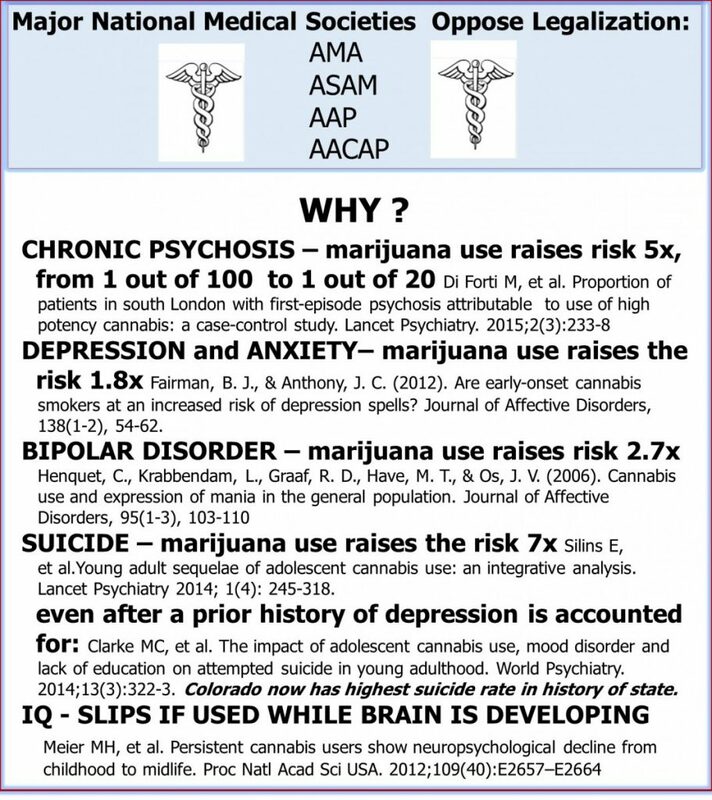 But last April a judge asked how that related to his mental health evaluation, saying it was not a mental health issue….” This judge did not understand the influence of marijuana on violence and negative mental health outcomes. Although Cetin was not allowed to own guns, he stole his father’s guns. Governor Jay Inslee spoke at a Press Conference after the shooting. He said, “Passivity in the face violence is unacceptable,” and that “I don’t have the answers.” Getting to the answers includes finding out how this Washington shooter compares with other young shooters and shopping mall shooters. 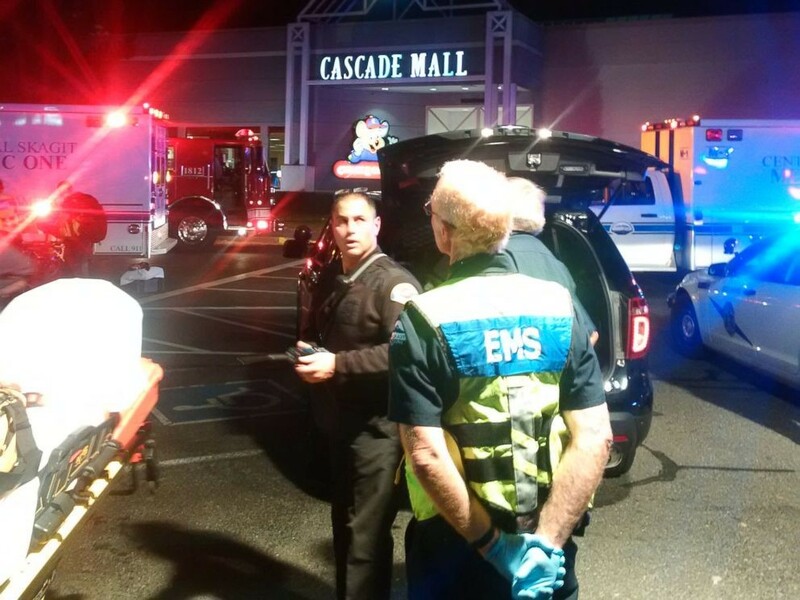 Four women died shortly after a gunman opened fire at Cascade Mall in Burlington Washington on September 23 around 7 p.m. Photo: KIRO 7 News. Jaylen Fryberg, a 15-year-old who shot and killed 5 at his high school in Marysville, Washington, two years ago, left a record of his marijuana habit on Twitter. It happened after marijuana was legalized in Washington for those 21 and over, but not for teens. When we track stories that make national news, marijuana use is often a common trait in many young killers. Boston bomber Dzhokhar Tsarnaev and the Columbine shooters were also marijuana users. Neither Fryberg nor Tsarnaev appeared mentally unstable to their classmates. On the other hand, Arcan Cetin’s high school classmates thought he was disturbed, and he did not fit in. On September 26, Nathan DeSai shot and injured 9 at a Houston strip mall. According to neighbors, he had been acting erratically lately. The police report said, “There were also reports of heavy pot use in DeSai’s apartment,” and that there were numerous complaints about the strong marijuana odor coming from his unit. 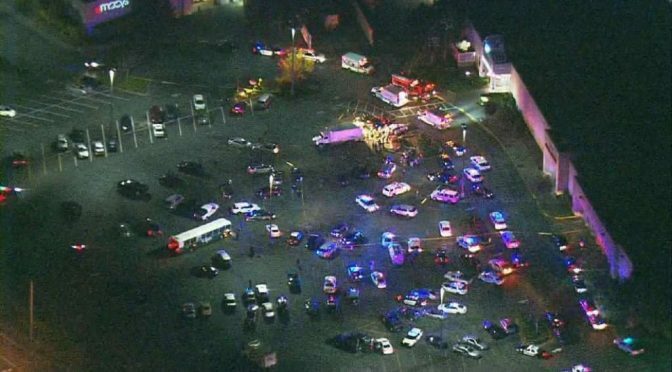 Two other mall shooters, the Clackamas Mall shooter in Oregon and the Columbia Mall shooter in Maryland, had both mental illness and histories of marijuana use. “The kids who start to use marijuana at a young age are much more likely to experience longer-term mental health problems,” Dr. Neal McKeganey warned more than a decade ago. Since teens have many adjustment problems to begin with, parents, schools and communities need to spread this message more firmly. We can expect children of immigrants to have many challenges–disrupted living experiences, culture shock and even memories of violence. 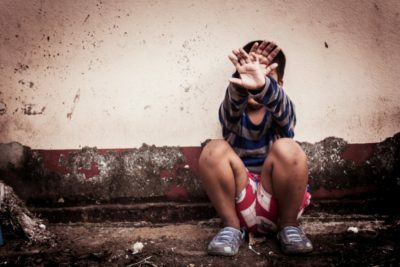 Whatever trauma a child may have witnessed in the homeland will be carried in memory and could make adjustment difficult. Since Prop 215 (The Compassionate Use Act) was enacted in 1996, California has devolved into de facto legalization. Over 50,000 cultivation sites grow marijuana under the guise of medicine, then illegally sell it to 60% of the United States market for recreational use. In the meantime, massive quantities of our precious water is being used for marijuana cultivation, resulting in destruction of our natural resources and ruining the quality of life in once fine communities. Currently, a whopping 19.5% of the California budget is directed towards dealing with issues related to substance abuse. However, surprisingly only 1% of this 19.5% is spent on prevention. Most of it is used for shoveling up the damage and treating the wounded, horrible economic policy. Furthermore, out of the 129 Americans who die every day of drug overdose, almost all started their drug journey with marijuana, and 59% of people arrested (Sacramento) test positive for marijuana. Against this background, two contrasting ballot initiatives will be introduced to the California voters in the 2016 elections: The Safe and Drug-Free Community Act and Newsom’s Adult Use of Marijuana Act. The former seeks to prevent our California communities from transforming into drug production and consumption havens, and preserve our natural resources for our future generations; the latter seeks to make marijuana, universally known as the “gateway drug” widely available, without considering the social, economic and environmental cost of the drug. The Safe and Drug-Free Community Act which which seeks to prevent marijuana use will save lives, cut crime, improve academic achievement, save taxpayers billions of dollars and help regain and retain all that made California and this nation great. Keeps marijuana illegal. Today’s high potency marijuana is known to cause brain damage, mental illness, psychotic breaks, suicidal depression, harms to a fetus, and increased traffic deaths. Would prevent privately owned cultivation sites which are destroying our natural resources, sucking up mass quantities of water (6 gallons/day/plan) and causing irreparable ecological damage. One cultivation site will remain, owned and controlled by the government to fulfill the intent of Prop 215. Privately owned dispensaries will be banned to stop the enormous abuse that has and continues to take place. State owned dispensaries will be allowed where local communities choose to allow them and “medical marijuana” will be more tightly controlled with lab testing, packaging, potency and consists. The legal age of “medical marijuana” will be raised from 18 to 21. The American Society of Addictive Medicine recommends no one under age 25 use marijuana based on scientific evidence that the human brain isn’t fully developed until then. Ages 18, 19 and 20 are critical years for brain development, and at least closer to brain maturity, where the vulnerability to harm is far less. Imposes strict standards on doctors who recommend marijuana, something currently lacking. Requires dispensaries to report marijuana as part of CURES Act so pharmacists can safe guard against adverse interactions with conflicting medicines that could cause harm. Sets a standard for marijuana impaired driving. 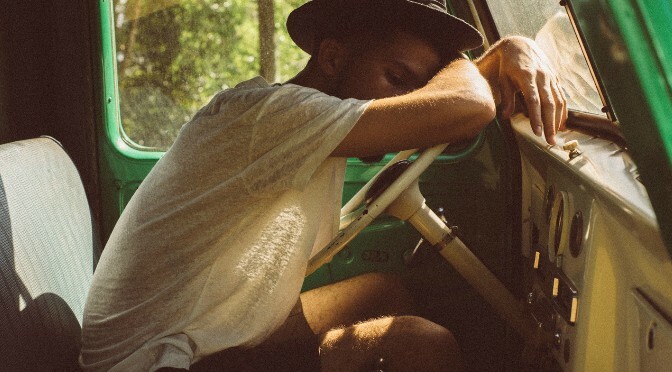 Currently 12.6% of drivers (one-in-eight) are driving impaired to some degree by marijuana. Traffic deaths owing to marijuana have doubled in California. Stoned drivers are even killing people on sidewalks. 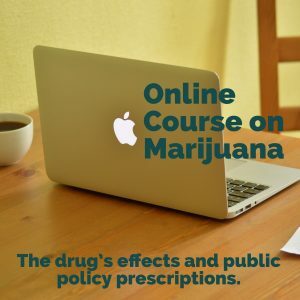 Mandates a statewide educational program for parents, teachers, students and the general public so people can make an informed decision about using marijuana, allowing their children to use it, or what and whom to vote for. They Say It Will Protect Our Kids – They want to tax and regulate marijuana so we have money to teach our kids not to use it. Brilliant! Expanding the availability and access will increase adolescent use as it has in Colorado, Washington and all places in the world where it has been decriminalized. They Say It Is For Adult Use Only – Today’s highly potent pot can cause permanent physical and chemical changes in the brains of anyone under 25 years old. Marijuana use peaks at age 20 and tapers off rather rapidly after age 25, so the focus from a marketing standpoint is on young people, just like Big Tobacco. Governor Brown has stated, “…How many people can be stoned and still enable us to have a great state and nation?” Actually it’s worse than just getting stoned. Diminished intellect, mental illness, psychotic breaks, depression, suicidal tendencies and addiction are life-long chronic conditions. You can’t just sleep it off. They Say It Can Be Regulated – If the government was capable of, or cared about regulation, God knows they would have demonstrated it by now. California has over 50,000 mostly illegal cultivation sites producing pot under the guise of medicine, then illegally selling to 60% of the US market. In the meantime, the pot plantations are inflicting irreparable harm on our precious ecosystems. They Say It Will Benefit The State Economically – The social costs of marijuana, like alcohol and tobacco, are 10 times greater than tax revenues. Expanding the use of marijuana for the sake of the 8% who want to get high, or make money on those who do, will cost the other 92% more. Nor will the black market go away. Cartels don’t pay taxes so they have a price advantage. It Would Retain “Medical Marijuana” – The existing program which allows anyone over 18, for any purported illness, to access all of the pot they want for personal consumption or to sell, doesn’t go away. We already have de facto legalization, producing more pot than Californians can consume. Marijuana is a dangerous drug, with proven ability to destroy the brains of our youth, inflict irreparable harm on our natural resources and pose a public health and safety problem for everyone. Anyone that aspires to be Governor of this fine state needs to demonstrate that protecting people, the planet and our tax dollars are of higher priority than pandering for drug money for his or her personal campaign. In the interest of public safety and environmental protection, just defeating full legalization isn’t adequate. We need to roll back what exists. TELL THE OUT-OF-STATE BILLIONAIRES TO GO PACKING! AMERICA IS BEING CONQUERED FROM WITHIN … BY A PLANT! Marijuana, left unchecked, will eventually subject America to much greater vulnerability than whatever outside threats we will face as a nation. Our predominantly doped up culture will not have the wherewithal to regain or retain America’s exceptionalism. In vulnerable individuals (about 30%) it has and is causing psychotic breaks leading to violent acts, mass murders and suicides, as well as other mental health disorders including schizophrenia, paranoia, anxiety, depression and bi-polar disorder. The problem is people don’t know they are vulnerable until they experience the problem, then it may be too late for some and a question of long term recovery for others. Psychotic episodes have led to a dramatic increase in emergency room visits. Daily users are 5 times more likely to develop mental health disorders; weekend users 3 times more than non-users. A UK study showed that Skunk was responsible for 1/4th the new cases of schizophrenia. Studies from Australia and New Zealand showed that teens who use marijuana were 7 times more likely to commit suicide. 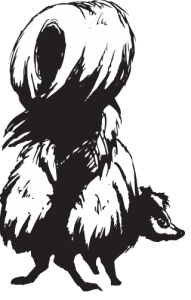 Skunk is the name for today’s high potency marijuana. See the previous post in the series: Marijuana is Addictive. See the next post in the series: Marijuana is NOT Medicine.